South Orange County Wildcats enhances opportunities for track and cross country athletes to participate in and develop skills beyond their school-based programs. Founded by a 28-year track and field coaching veteran, our USA Track & Field (USATF) sanctioned club addresses the needs of a range of youths – from the elite athlete to the beginner, and all levels in between. Regardless of their level, each South Orange County Wildcat is trained to maximize his/her individual potential. Our elite athletes benefit from sophisticated cross-functional coaching, specialized, event-specific training and peer group sessions designed to push them to the next level. Our competitive youth athletes – ages 8 through 18 – learn the various aspects of track and cross country running with event-specific training. Age group participation, along with specialized training techniques help Wildcats’ youths enhance their performance in competition. Our general fitness athletes find track and field a great way to increase fitness levels, or get in shape for sports such as soccer, football, and basketball. Regardless of their motivation the South Orange County Wildcats Track and Cross Country Club provides a safe and fun environment for everyone to get moving. Success to the South Orange County Wildcats is more than just winning a race, it’s about developing character. Our positive coaching philosophy is designed to bring out the best in each of our athletes. Communication and priority setting are integral to our club’s and athletes’ success. We work with our athletes and parents to establish appropriate priorities for track and field, school and family life. Track and Cross Country running may not be everything to everyone, however competitive track and cross country can be an extremely valuable part of a young person’s life. The focus, self-motivation and sportsmanship that result from disciplined training carries through to all aspects of life. Not every child can be a world-class athlete, but every athlete can benefit from an organized and well-directed track and field program, whether or not they ever win a race. The South Orange County Wildcats program will teach every athlete that in order to reach their full potential they must apply themselves intelligently and consistently. Providing a healthy, learning atmosphere that stresses this will positively impact our athletes for a lifetime. That’s the ultimate measure of success. 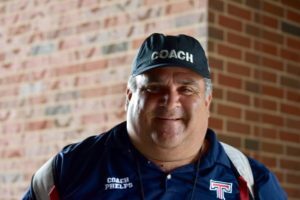 Founder of the Wildcats Track Club in 2003, has been coaching youth sports in the South Orange County area for the past 28 years. This is Asher’s third year coaching with South Orange County Wildcats. Asher competed for the Wildcats under the tutelage of Coach Phelps since he was 13 years old. 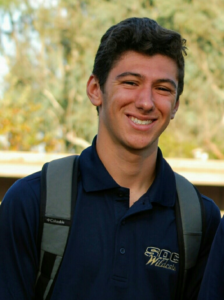 Asher also competed for Tesoro High School as a Varsity athlete in Track and Cross Country. Asher is currently a college student working to earn a teaching credential in kinesiology and uses his knowledge and experience to help others find success, both on the track and on the trails.